No tips on site crashing tho. Seat sale season is upon us, and you know what that means: The panic is on! How will I know if there’s an upcoming seat sale? These days, news about seat sales are hard to miss. Even major news outlets report about them more often than before! However, if you want to be updated on promos regularly, see to it that you’re following the social media pages of various airlines. Whether local or international, they are sure to offer discounts at some point over the year (usually, during holidays and their anniversaries), so keep your eyes peeled for announcements, or, better yet, turn your notifications on, so you’d be among the first to know about their promos. You may also opt to sign up for the newsletters travel search websites like Skyscanner for the latest travel news or download the apps of your trusted airlines for push notifications. Is it true that the fares can go as low as P1? Yes, fares can go as low as P1 or even lower during seat sales. To manage your expectations, though, the incredibly low rates airlines usually advertise may just be the base fares, which are exclusive of other fees and taxes that you are required to pay to make your trip possible. What you want to look for is the word “all-in,” which means the price you see upfront is the total amount that you’ll be charged for; however, take note that “all-in” fees don’t cover add-ons such as check-in luggage, meals, travel insurance, etc. 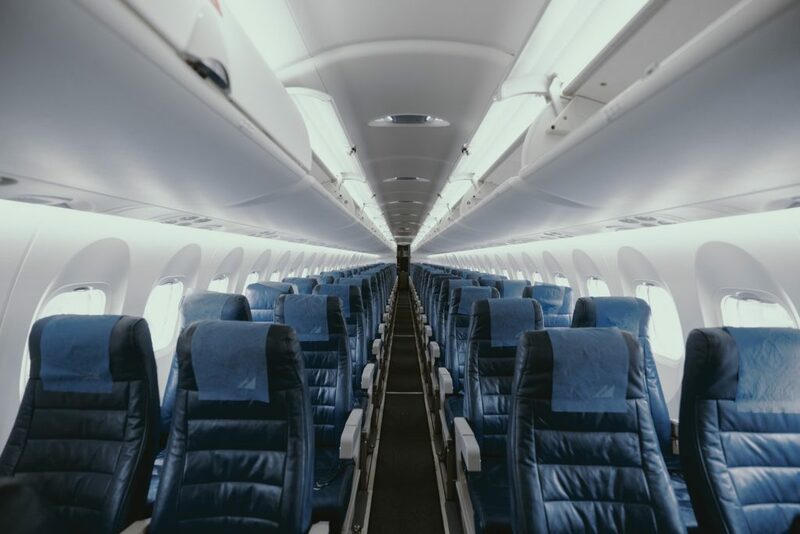 There really isn’t a set limit to the number of people that you can book for, but seat sales are essentially made for solo travelers or couples and small groups. There are instances when the booking website will tell you that tickets are sold out, when you’re trying to reserve tickets for a big group. So if you are traveling with more than two people, it would be best to do the booking in clusters. You may ask someone to help you with this, so they can book seats in the same flight at the same time. What should I prepare before the sale? Given that you already have a device connected to a stable (and speedy) internet service, the next thing you should set up is your account with the airline of your choice if you haven’t opened one yet. This will cut the time of creating a new account while the sale is ongoing, thus saving you from extra stress. Also keep with you a piece of paper or file containing all the important and personal information of the people you are booking the trip for, including yourself. Airlines will always ask for the passengers’ full names, passport numbers, passport expiry dates, contact numbers, e-mail addresses, and birthdays. Keep your credit or debit card at reach, too, so you can get past checkout in no time. You might want to have a list of your preferred destinations and travel dates as well. This will make selecting flights and looking for alternatives easier. Is there an ideal time to book a ticket? Needless to say, the best time to book a ticket during a seat sale is on the first day of the sale, when slots are still aplenty. The prices start getting updated with the discounted rates by midnight, so get on your computer (or open the airline’s booking app), and join the party on the dot. Once you’ve selected your desired seat (or seats), proceed to checkout before anybody else beats you to it! Now, due to the volume of users trying to book tickets at the same time (and the country’s crappy internet), the website might lag or crash while you’re on the process of booking or opening the page, and that’s normal. Don’t worry. Trying to clinch promo flights will really test your patience. Take deep breaths, grab a drink or some snacks, and try again later. Some users prefer browsing through the website past midnight, since there’s less activity online. Airlines also replenish their websites with discounted seats throughout the promo period, so just keep trying! Are there certain destinations that will guarantee me a ticket? Top local and international destinations like Palawan, Boracay, Hong Kong and Singapore will surely attract more traffic, but that doesn’t mean getting discounted flights to those countries is impossible. It’s just a bit trickier. If you are up for an adventure, choose less popular destinations, since they will give you higher odds of getting a ticket. You can also make adjustments to the route you’ll take to get to your main destination, if time permits. Say, you want to go to Boracay, but the flights to Caticlan and Kalibo are sold out, you can fly to Roxas and take a road trip to Caticlan then hop on a boat to Boracay. I have a tight schedule and I really want to fly on this exact date for less. Am I being realistic? If you are following a strict travel schedule, you can try booking during a seat sale, but don’t count on it. Sorry to break it to you, but travelers with flexible plans are the ones who benefit most from seat sales. I didn’t get the promo I wanted. What now? Don’t lose hope just yet! Make a Plan B, Plan C, heck, make up to Plan Z! Widen your horizons. Try other dates. Choose a new destination. Travel solo! Still no luck? Save your tears. Seat sales happen periodically throughout the year, anyway. With some patience and practice, you’ll score that discounted ticket soon enough.